Okay, all of you iPhone totin’ parents! Whip out your iPhone, connect to the App Store in iTunes and download a fun lovin’ app for your children. Which app is that? you ask. Why iCrayonMaker, that’s what! 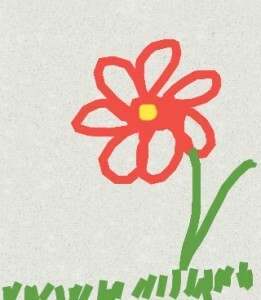 With iCrayonMaker, your children can have loads of fun drawing on your iPhone. They can choose from four different drawing styles: crayon, chalk, glitter, and felt marker. 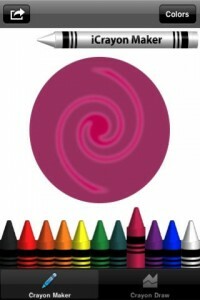 Then you tap inside the circle and start swirling your finger around. This will fill in the circle. When it gets to be the color that you like, tap the Crayon Draw tab at the bottom of the screen. This will take you to a blank screen where you can start drawing. Now, draw away! When you want to change the color of your crayon, tap the Crayon Marker at the bottom of the screen to go back to your ‘box’ of crayons. There is an undo feature that lets you undo your last three strokes. (I wish it had more undo levels . . .) There is an erase feature that erases everything on your screen so you can have a fresh start on a different drawing. If you want to change the style of your crayon, simply tap the Change feature. 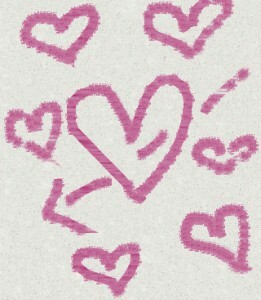 Once your kiddo has finished her drawing, you can send the picture to Facebook. (How cool is that?) You can e-mail it to someone through e-mail — like grandpa, a sibling, or a friend. You can also save it to your phone’s camera roll. Here are two of my fabulous artistic renderings. Watch out Rembrandt. Here I come! This fun little application will keep children — and read that to mean mother, too — happily and busily occupied for quite some time. This entry was posted in iPhone and tagged apps, iPhone. Bookmark the permalink.